When you’re selling your home, having an open house is one of the most effective ways to attract a large number of interested buyers. Just keep in mind that it takes a considerable amount of planning in order to host one. 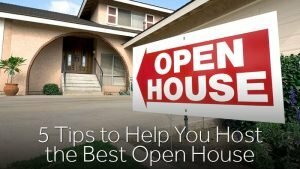 Use the following tips to help you have a highly successful open house. Having clutter taking up room on counters, shelves and other areas of your home can make an immediate negative impression on buyers. Get rid of clutter in every part of your home. If you plan on keeping many of the items you come across while decluttering, consider keeping them in a portable storage unit. This gets them out of the way so your home can look spacious and organized without forcing you to say goodbye to some of your belongings. Buyers are going to want to see a house that’s in tip-top shape. This means doing a thorough job of dusting, vacuuming and removing grime from all surfaces in your home, such as the bathtub, kitchen floor, and bedroom rugs. Walking into a house that’s clean gives buyers a great first impression. Make sure you set aside enough time to get all of this cleaning done well before your open house takes place. You don’t want it smelling of cleaning chemicals. The first thing buyers will see at your open house is your front yard, so you’ll want that to look as well kept as possible. Get rid of weeds, trim tree branches and shrubs and consider planting seasonal flowers that grow quickly. Don’t leave toys or gardening tools lying around your yard or porch. Depending on what condition the exterior of your home is in, you might also want to paint your front door and power wash your siding. One of the keys to having a successful open house is to put personal items away, such as photos or collectible items. Doing this makes it much easier for buyers to think about how they might use the space in your home. It also allows them to imagine how their belongings and furniture would look. 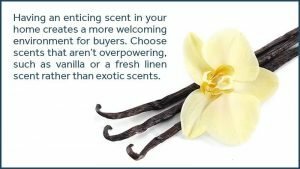 Having an enticing scent in your home creates a more welcoming environment for buyers. Choose scents that aren’t overpowering, such as vanilla or a fresh linen scent rather than exotic scents. Keep in mind that you shouldn’t do any cooking on the day of your open house, since odors can linger. However, you can ask your realtor about baking some cookies for potential buyers to enjoy. This adds a pleasant scent to your house and makes buyers feel more at home when they walk through the door. If you need portable storage and moving services, contact Zippy Shell for more information. We can help you keep boxes out of sight during your open house and move your belongings to your new home. Our commitment is to give you the best prices available so we will beat the best of two written moving quotes by 15 percent! This is valid for one- to three-day moves. We are also running our Fall Storage Special where customers receive $40 off monthly base rental for 10′ and 15′ containers! Make sure you mention this blog post when scheduling your service to get this awesome deal!